Jill is a Registered Dental Hygienist with 25 years experience in clinical dentistry. Originally from Stamford, Connecticut, Jill received her professional education in Miami, Florida. Her clinical background includes extensive experience in managing complex periodontal patient care-treating patients of all ages and varying treatment needs. She served as a clinical instructor at Nova Southeastern University in Florida before moving to Charlotte and joining our practice. Jill is passionate about dentistry and serves her profession actively, serving as a consultant to the CPCC dental education advisory committee as well as an active participant with the North Carolina division of the American Dental Hygiene Association. 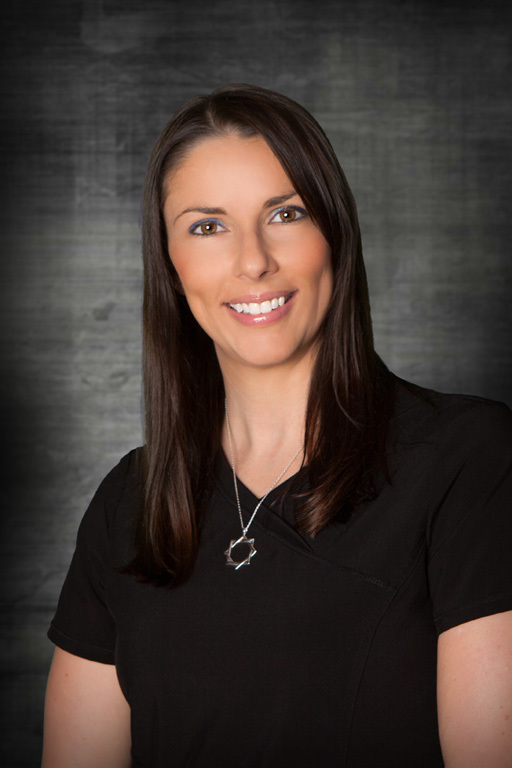 These efforts, combined with her extensive interest in and commitment to professional continuing education and study, qualify Jill as one of the most experienced, motivated and skilled hygienists in Charlotte. In her personal time, Jill loves leading a very active lifestyle- with regular participation in all varieties of activities including running, skiing, kick-boxing and all varieties of cross-training. She loves reading, music and spending time with her son Hunter. Angie completed her education as a Registered Dental Hygienist in 2013. She is licensed to practice in both North and South Carolina. She graduated with honors and is a distinguished member of Phi Theta Kappa . She is passionate about providing clinical dentistry at the highest level possible- sharing Dr. Stuart and Jill’s commitment to life-long learning and keeping patient care the unquestioned number one priority in our office. She is an active member of the American Dental Hygiene Association, as well as several professional study clubs. Angie is originally from Alexandria, Egypt. She has lived in the United States for 23 years and the Charlotte area since 2007. In addition to her dental education, Angie holds a Bachelor’s degree in Interior design and is fluent in Arabic and French. Angie and her husband, Sharif have two daughters-Rachel and Natalie. She loves spending time with her family and finding time for some of her favorite hobbies-exercise, painting, cooking, photagraphy and singing. Paola received her Certified Dental Assisting diploma in 2016. In addition to assisting Dr. Stuart in all phases of clinical care, including CAD/CAM restorative, surgical and endodontic (root canal) procedures, Paola serves as our Patient Care Coordinator for new and existing patients. She is able to provide any information or assistance you may need regarding appointment scheduling, explanations of clinical procedures or the financial aspects of your care (insurance benefits, payment options). Paola is a Pittsburgh native who has lived in the Carolinas since 2009. Her family is originally from Puerto Rico and Ecuador. She and her younger siblings- Tatiana and Diego-share this rich cultural diversity, as well as a fluency in Spanish. She is currently learning Arabic as well (sometimes this helps Dr. Stuart care for our amazingly diverse family of patients-because his only foreign language education was in Latin)! Paola provides exceptional, personalized care for our patients. She loves dental assisting and the opportunity it gives her to make your dental visits as comfortable and joyful as possible. When she is not working with patients, Paola is very active in volunteer work as a Jehovah’s witness, and makes time to enjoy some of her hobbies: playing volleyball, hiking, going to amusement parks and relaxing on the beach. Paola is recently engaged to her fiance Yoshi and they are in the process of planning their wedding for this coming summer!